Video Testimonial for a patient who now leads a better life, is able to play volleyball with his daughter, and can breath better. This is a new patient’s unedited reaction to her first OMT treatment for her bloating and shoulder pain. After my traumatic head-on collision, which happened last July, I have been suffering with such severe discomfort throughout my torso. I have been to doctor’s appointment from general medicine to specialists. Also, have been on several pain medications that I have lost track of their names. And lets not forget physical therapy where I received the hot pads and electrically induced needles shooting in my lower back. Now comes in the Osteopathic Healing Hands. I will say that I was totally clueless and unaware of what was to happen once I walked into the doctors office. After having a question and answer session, Dr. Banik started her healing hand process throughout my torso from head to toe and roundabout. She had me walking to and fro and noticed my torso was in a slanted/diagonal position. She touched my neck, shoulder, rib cage, hip area, back thigh, lower leg calf, ankle with her healing hands……………. After her healing hand process was completed, I had a remarkable feeling!!! My body had a calm feeling sensation which I had not experienced in such a long time. Relief, no pressure, as if I was floating on a cloud. The first time in a long time, I slept like a baby!! When I awoke in the morning, I did not grunt and moan as I moved out of bed – oh what a feeling! My day is going strong with continued progress. By going to Dr. Banik I saved hundreds of dollars, on account I would have had to go thru outpatient procedure to have steroid injections performed by the pain and management specialist. After suffering with migraines for over 25 years, I had to find someone to help with PREVENTION, instead of simply treating the pain. After one visit with Dr. Banik, my pain from a migraine was immediately lessened and with each passing day, I continued to feel even better. I really appreciate her earnest listening and taking the time needed to discuss and assess my health history before any treatment began. I will continue to see her as needed and feel that she is working with me to provide the best possible outcome for me and my lifestyle. I’m thrilled to have my life back without the reliance on narcotics/painkillers. Dr. Banik is amazing. I experienced a small glimpse while Dr. Banik was giving a demonstration on the benefits of gentle manipulation and whole body approach to healing. I have had several massages, acupuncture treatments and chiropractic treatments in my life. Nothing was quite like this. My first treatment was a 10-15 minute demo, she watched me walk, made some observations about my posture and with very little and gentle touch I was able to see and most importantly feel a difference. Being 7 months pregnant at the time, I was having some crazy lower back pain (to the point of not being able to move sometimes) and some tightness in my shoulders. General aches and pains. Some areas I didn’t even know I was stressing until she pointed it out. Sometimes you just forget about pain, you become used to it. After the 15 minutes, I felt good immediately. More loose and relaxed. I felt like I was putting less stress on certain points of my body. There was no soreness or tenderness after the treatment. It’s crazy how simple and relaxing the whole process was. It was truly an amazing experience and I’d recommend this treatment to anyone! I came to Dr. Banik in Sep. 2015 after a bad bicycle accident in April while training for a triathlon. Having substantial neck and mid-back pain, I was keenly hoping Dr. Banik would be able to help. She did not disappoint. Her gentle & skilled care over the next few months helped reduce the pain and facilitate healing. I especially appreciated that her goal was to get me to the point of "no return," i.e., that I didn’t need to endlessly return for treatments. She went above and beyond the call of duty to find solutions that would help me. I highly recommend Dr. Banik. I am a clinical homeopath, working in the Naturopathic practice Sakura Natural health in Montrose, and have been attending Dr. Payel for back issues. I am SO impressed with Dr. Payel’s work as an osteopathic doctor; she is REALLY excellent. The treatment is gentle, thorough, and really realigns. I have had sacro-iliac/ knee issues for years, a long distance runner and an avid skier. I have had my share of wear and tear on joints. Dr Payel is extremely accomplished at what she does; she can sort a chronic issue with gentleness and effectiveness. I had attended many chiropractors and body workers, but osteopathy has always suited my body the best. 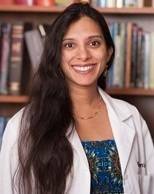 As a fellow clinician, I will be referring myself and a lot of my patients to Dr. Payel for her excellent osteopathic treatment. We are blessed to have an osteopathic doctor that manipulates here in Houston. Please give yourself the gift of a treatment. Dr. Banik rocks. Seriously. My child has been seeing Dr. Banik since August. Her eye tracking has greatly improved, is excellent now (had a cranial compression). Learning in school has improved as well as her feeling generally more comfortable, less whining and unexplained upsets. She complained of her foot hurting while walking, and Dr. Banik expertly adjusted her foot bones which resulted in complete relief of pain and increased mobility. We are so grateful for Dr. Banik’s professionalism and holistic expertise! I went to see Dr. Banik because I had an excruciating lower back pain. After 4 adjustments I feel extremely good. Thanks to Dr. Banik I feel more balanced and I can move more easily and my lower back pain disappeared. I highly recommend Dr Banik. I’m a senior with knee osteoarthritis and lower back pain and this was my first experience with a Doctor of Osteopathy and the use of manipulative therapy. I was surprised how much better I felt after just the first treatment, the knee pain was about 60% less. Dr. Banik is very caring, compassionate, knowledgeable and really seems to enjoy her work. She even found problems I didn’t know I had and corrected them. So happy that my mobility is back as I can now do errands with much less pain and for longer periods of time, AND without having to take a Motrin for pain relief. Thank you Dr. Banik!! Pelvic/Pubic Pain – Avoided Surgery! I saw 5 MDs before seeing Dr. Banik at Osteopathic Healing Hands. Two of the five recommended that I see another doctor. One recommended physical therapy. And the other two recommended surgery immediately (after just one short visit with them). I’ve learned to run the other way when I hear a doctor say, "Don’t worry, it’ll be an easy surgery!" I’ve been doing physical therapy for 6 weeks now, but the first breakthrough in physical therapy I felt the day I went to see Dr. Banik! I told the physical therapy about seeing an osteopath, and she was super supportive. I’ve continued to increase the intensity in physical therapy since seeing Dr. Banik 3 weeks ago, and so far there’s been no return of my previous symptoms (which is more than I can see for any other 3 week period over the past year). If you’re debating a serious medical intervention (like surgery), it’s a no brainer to come to Dr. Banik first. Dr. Banik is so sweet and cares deeply for her patients. She was able to be a part of a journey of healing that I have been in the past 2 years with back and hip pain. I am now experiencing a significant reduction in pain and have been able to start working out again. I believe I will be able to experience a full recovery. She was also able to help with some scarring from a previous surgery. I am very thankful for her knowledge, skills and compassion, and would recommend her to someone who is looking for an experienced osteopath. I have never felt healing hands like this before. I have had many different kinds of adjustments and massage treatments in my life and have had some positive results but her knowledge, skill, talent, and touch blow them all out of the water. I was very tight in several areas and she easily and incredibly addressed them ALL as well as other issues from way in the past that I had no idea were connected but their resolution sent me off way better than expected. Your body will respond very positively to Dr. Banik’s healing touch I can almost gaurantee it! I live in Austin and I too would gladly travel the 4 hours to see Dr. Banik. Everyone that got off of her table was like wide eyed "Wow, she’s good!" SO worth it! I was introduced to Dr. Banik while attending the annual Association of Texas Midwives conference, upon recommendation to see her from another attendee. I originally spoke with her concerning digestive issues, but she also identified other problems as she was treating me. I was actually hit by a truck when I was 14 with the point of contact being my right hip, involved in another major car accident 5 years ago, and pulled a muscle in my lower back/left hip last summer lifting a toilet by myself. I’m 25 and in relatively good health from years of athletics, or so I thought. My hips were tilted, out of alignment and needed adjusting as well as my neck, and I had blockage where my small intestine turns into the large I wasn’t aware of. Immediately after getting up from her table I could feel a difference, and all of this was from one session. Just one! Now that it’s going on two weeks I’m still seeing improvements. Hands down, she lives up to the name of her practice and I would gladly travel the 3-4 hours to be seen again in the future. She is amazing!